8 Days, 2 H-Bombs, And 1 Team That Stopped A Catastrophe In 1961, it was Jack ReVelle's job to make sure two hydrogen bombs that had accidentally dropped over North Carolina didn't explode. At StoryCorps, he tells his daughter about recovering the bombs. 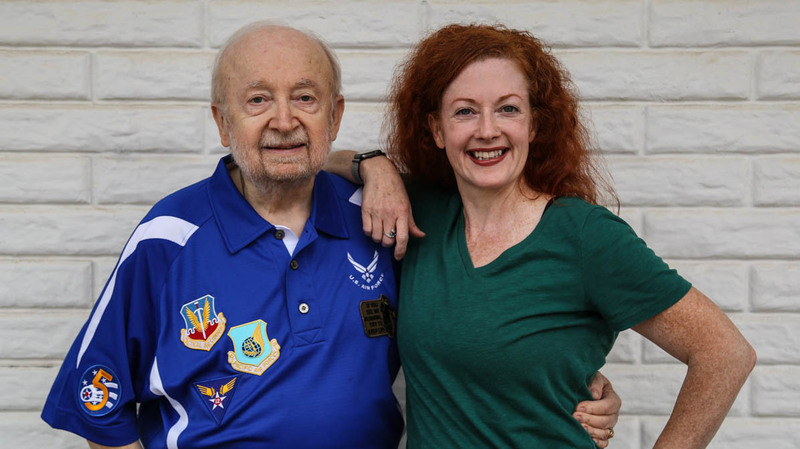 Jack ReVelle and his daughter, Karen, at StoryCorps in Santa Ana, Calif., last month. 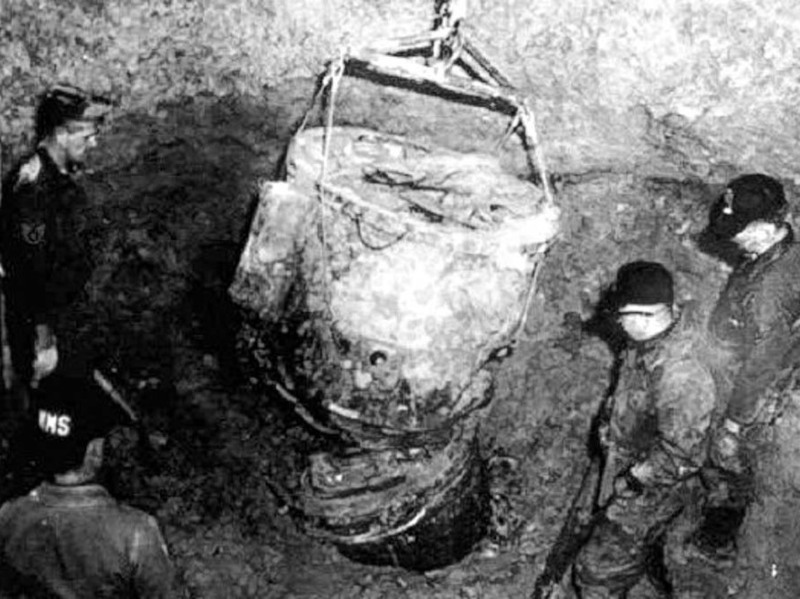 ReVelle recovered two hydrogen bombs that had accidentally dropped from a U.S. military aircraft in 1961. Many details about what happened were not released until they were declassified in 2013. The bombs fell into a tobacco field. They didn't go off, but if they had, each 3.8-megaton weapon would've been 250 times more destructive than the atomic bomb dropped on Hiroshima. Lt. Jack ReVelle, then a 25-year-old Air Force munitions expert, was called to the scene. His job: make sure the bombs did not explode. 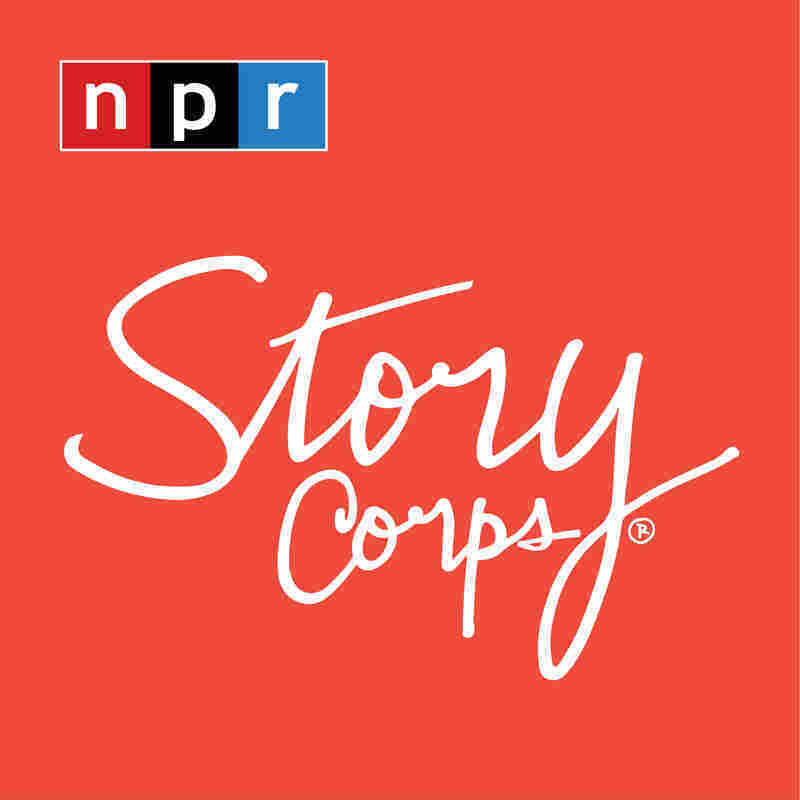 "What the status of the weapons were at that time was unknown, so we were working in the dark," Jack, now 83, tells his daughter, Karen, 47, at StoryCorps. Of the two bombs, one had its parachute deploy, and it landed in one piece. For Jack and his 10-person crew, it was much easier to deactivate and haul away than the other bomb, whose parachute had not opened. "This huge, multi-ton weapon penetrated the ground at 700 miles an hour and buried itself in the swamp," Jack says. The crew set out on the harrowing task of digging it up. "The first couple of days there, they didn't even have food for us. Nothing. It was snowing, it was raining, it was frozen — that's why we worked in shifts, sometimes on our hands and knees," he says. The team had to recover the component that contained the arm safe switch, as well as 92 detonators burrowed in the ground. Each detonator contained a small amount of explosives and looked like a hand grenade. When they finally found the switch that shows whether the bomb is armed or in safe mode, it was on "arm." That meant the bomb could explode at any time, depending on the status of the remaining safety features in the weapon — which were unknown. "We all knew what we were there for and the hazards that we were facing," Jack says. "So we pulled it up out of the mud and brought it up over this wooden rickety ladder that we had to the surface of the ground in a safe condition." The group carefully extracted each detonator they found by hand and then shipped most of the components – both radioactive and explosive — to Seymour Johnson Air Force Base in nearby Goldsboro, N.C. It took the men eight days to manage the two bombs. And after the mission, Jack sat down to write his parents a letter. Photo courtesy of the United States Air Force. Four of the men from Jack ReVelle's team observe the retrieval of the second hydrogen bomb's parachute pack. "By the time I'd written 'Dear Mom and Dad,' my hand was shaking," he says. "I thought to myself, 'My God, where have I been? What have I been doing?' "
Had one or both of the bombs detonated it could have changed the state's landscape — and ReVelle says that it could have been misinterpreted by the U.S. military as an act of aggression from the Soviets. "You would've created a bay of North Carolina, completely changing the configuration of the East Coast of the United States, and the radiation could have been felt as far north as New York City," he says. "At the time, nobody knew it, but it could have easily been the start of another world war." Audio produced for Morning Edition by Mia Warren.